spiritual activity later, he started moonlighting with the guru’s blessings at the Ashram’s IT firm—yes, you read that right, at the Ashram’s IT firm—on a much reduced salary. A year on, the diminished scale and lack of commercial and process focus had started to gnaw at him and he was ready to head back into the real IT world. And if one were to believe him (and I have no reason not to), there were many companies reaching out for his not inconsiderable technical talent. The new year always brings with it the latent urge to think anew. Wistfully, many of us have for years recorded our wish lists of items for personal renewal in our own little worlds. Taking a break from a monotonous career figures high on most lists. Usually these notes end up forgotten through the busy months that follow, only to surface perhaps during spring-cleaning. Even when switching jobs, veterans feared taking a day’s break in service between two stints. Folks worked it out assiduously with relieving and inducting HR departments to ensure that Day Last at the former merged seamlessly with Day 1 at the latter. A far cry from today’s trend of taking those New Year jottings seriously and switching off for a bit (or more) from the executive march. While some breaks are forced on us, some are voluntary. We list some of the reasons for career breaks. So what are you waiting for? Organize your life, plan your finances, choose the excuse you like best and walk off into the sunset… for that well-deserved break. Remember, smart recruiters will not hold it against you and you can always showcase it as one smart spike in your résumé. 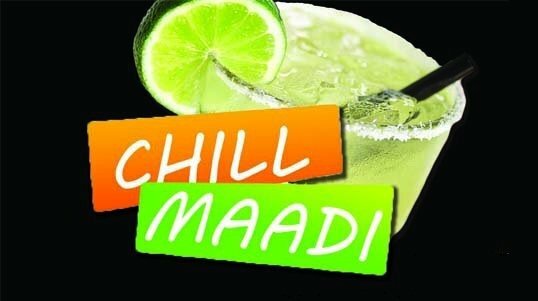 ‘Chill maadi’ As my Kannadiga friends would say, “Just want to chill types”. They are done with the busy hustle of the day-to-day office existence and need a few weeks, months, years to ponder on what to do next—but not before just enjoying and soaking up the sun, doing nothing for a while. Burnt out, man This is a subset of the chill-out gang. The sheer pressure of the job, deadly deadlines and cussedness of the boss burns them out and forces them to sit out to recuperate. You can identify these people, heading for nervous breakdowns, from the glazed look in their eyes as they play mindless video games or just sit pointlessly in front of their version of the idiot box. The smarter ones opt for the fig leaf of an executive education programme to apply balm to the burn. Me, the boss of my own calendar “No more calendar bossing for me. I want to control my time and calendar destiny and do whatever I want to do.” And since I can’t do it in the constricting environment of this organization, I’ll do it on my own, stepping out from the constraints of the company for a bit. Pensioned off Corporate trend-spotters now increasingly say: “ CXOs (the top executives) these days don’t retire. They just morph into consultants.” One CXO I know told me, “I just don’t want to be pensioned off. I want to feel I walked out on my own. That will give me the mojo to keep doing something for one more stint.” And what better way to term the walk than as a break? Follow my passion As our technology architect protagonist was wont to do. I recently came across a happy individual who had given up a very successful budding career to indulge his passion for cooking. Or it could be photography, candid or otherwise, travel or trekking or whatever…. There are, of course, many such examples where people indulge in this once they retire. But the interesting trend now is that this veering off is happening much earlier in career timelines. 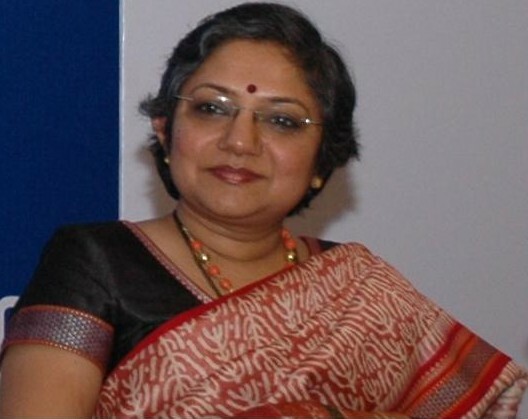 AAP beckons “I like to give back to society. To the new Indian dawn of governance. And before I decide what to do professionally, let me put my career on a professional break and do that for society. A highfalutin surgeon I know wanted to do this a few months ago, much to the consternation of his many patients. So the trodden career path is shelved, while said surgeon trods a different path.” Motherhood beckons, or is it ‘daughterly guilt’? We all know that the “mommy track” is a strong reason for people falling off chosen career paths. But the recent trend points to the daughter’s guilt. As elder care assumes significance, many not-so-young women, especially in middle and senior management, are opting out of chosen careers to give the necessary attention to those who were their caregivers or provided care to their children. Frozen out of the charmed circle The fear of being excluded from the charmed power circle or your own perceived circle of inclusion in companies is another reason people quietly move out of their executive jobs. There are many who job-hop because of this—from one corporate job to another. But there are now increasingly many at the senior level who just opt out of the corporate rat race and choose to quietly do something on their own when they feel so excluded. And finally those who are just laid-off Career breaks are great face-savers when threatened with a layoff. Targets can with bravado state they have taken a break from corporate life and opted to do something of their own. And something they do continue to do; coaching, consulting or even counselling—all the while searching for another “lucrative” corporate option.